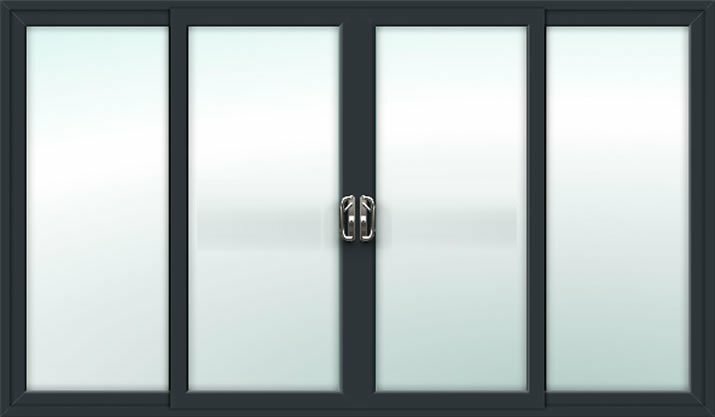 Our 4 pane aluminium patio doors are built using only the best quality materials, compromising of multiple seals to help prevent any water ingress and draft. Maximising sunlight and a sense of space, the vast achievable opening available with our 4 pane door is a considerably large at 6950mm wide. Internally beaded for added security, it's physically impossible to de-glaze the door from outside. Along with an advance multi point locking system, our patio doors offer security that will far surpass all requirements for home insurance.